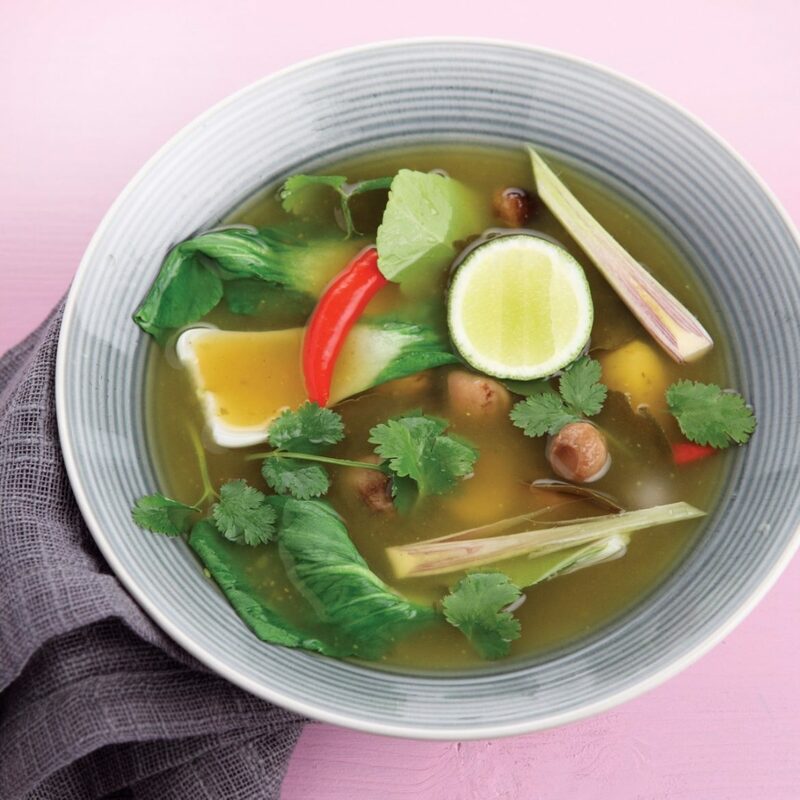 This fragrant soup is enriched by so many exotic flavours. It emits a slight heat from the chillies, which leaves the taste buds humming. The straw mushrooms can be bought at any Chinese or Thai supermarket. I like to strain out the lemongrass and lime leaves before serving. Bring the stock to the boil over medium heat in a soup pot. Slit the lemongrass down the middle and then smash the stem to release the flavours. Add to the stock with the lime leaves. Thinly slice the ginger and chillies and add with the garlic to the pot. Lower the heat to medium-low, cover, and gently simmer for 10 minutes to let the spices infuse. Uncover and stir in the fish sauce, sugar, straw mushrooms, lime juice and chicken. Simmer for 5 minutes to heat the chicken through. Season to taste with salt and pepper. Chop the coriander and sprinkle into the soup just before serving.